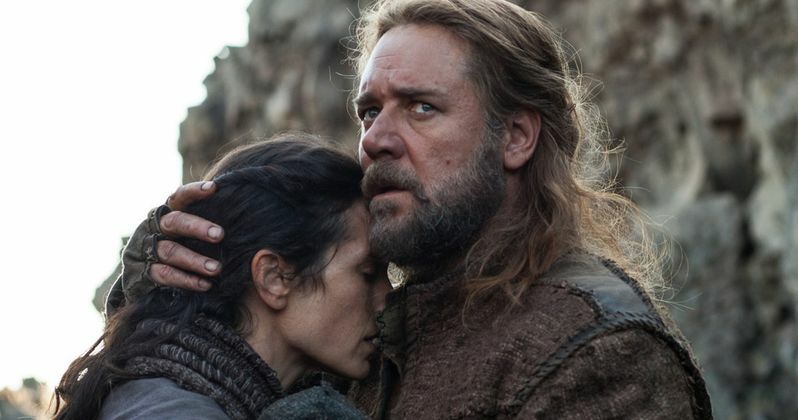 Paramount Pictures has released two new photos from Noah, featuring Russell Crowe as the title character, Jennifer Connelly as his wife Naameh and Logan Lerman as his son Ham. Plus, we also see a part of Noah's enormous ark while construction is in progress. Director Darren Aronofsky's biblical drama co-stars Douglas Booth, Emma Watson, Ray Winstone and Anthony Hopkins, arriving in theaters March 28.